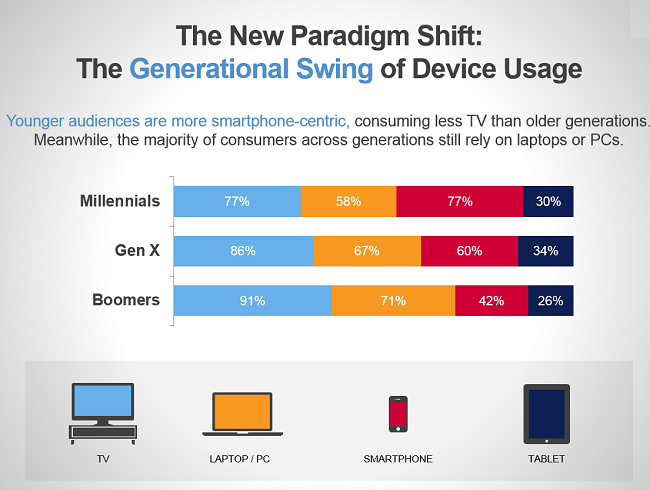 Tags containing: "generational media usage"
After playing catch-up to evolve their approach to reach Millennials, marketers must move quickly to connect with Generation Z. This generation, born between 1997 and 2011, is estimated to count 2 billion members globally – approximately 27% of the world’s population. Gen Z will present unique challenges to marketers, adding to the already difficult slate of changes that a rapidly evolving digital marketing environment is presenting. At the top of the to-do list for marketers is a need to gain a rapid understanding of the needs, aspirations and behaviors of Generation Z. To be accepted by this key group, marketers must develop mobile-led creative content that appeals to the generation’s imagination and passions for design and music. Marketers will also have to innovate to build better brand experiences and connected consumer journeys. For Gen Z, development of more engaging content and more sophisticated, brand-infused programmatic targeting is critical. Less intrusive media approaches that will help play their part in discouraging ad blocking, which Gen Z is prone to. Finally, marketers will have to take advantage of new technologies that enable cross media placements that work together to drive synergies and deliver enhanced ROI. Marketers who most enthusiastically tackle these challenges and embrace these opportunities will lead the way. Perhaps most critically, while described as both frugal and brand-wary but also industrious and collaborative, Gen Z will challenge not only how brands communicate, but also the very notion of a brand’s authenticity and transparency in digital. The reason is simple. Gen Z is one of the first groups to come of age in a post-linear digital world. They have knowledge about everything at their fingertips and on demand whenever they want it. They’re also emerging at a time of institutional instability. Consequently, Gen Z presents a conundrum for brands because they place a high emphasis on personal privacy but also expect full transparency from brands. Brands should invest media dollars and focus activity in digital platforms that allow consumers to co-create a shared brand experience. Unlike the personalization coveted by Millennials, Gen Z will be hands-on: They want to try it, take it apart and re-create it. Brands will need to give their target consumers a deeper look at themselves through owned media (social, apps, and websites). In addition to products and services for sale, brands must share their story, their purpose and details about their supply chain and production processes, so that Gen Z can determine if the brand’s values match their own. This narrative and underlying content will be further cascaded through strategically placed branded and sponsored content. Brands should aim to shift their focus to right-brained influence. The foundations of the internet and digital media were left brain – with a focus on the linear, factual and linguistic. Digital media for Gen Z will be right brain with a focus on imagination. This may take the form of augmented reality and virtual reality. The emphasis should be on experience through non-verbal immersive formats and stronger visual imagery as well as emotion, emphasizing music and narratives. These shifts, when embraced by brands, will help drive brand growth and increase the power of digital as a channel for brands to meaningfully connect with this audience, as it exerts ever greater economic power and influence. 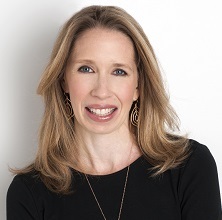 Joline McGoldrick is Vice President of Insights and Strategic Marketing for the Media and Digital Practice of Kantar Millward Brown.